As one of the most reputable world's leading living streaming video platforms and communities for gamers, Twitch currently has 2.2 million broadcasters monthly and 15 million daily active users. To join it, you can enjoy yourself in marvelous contents, like personal streams of individual players, eSports sports tournaments and gaming-related talk shows. Among them, mass numbers of users are devoted themselves to making video game tutorials and interacting with each other in real time. Exciting thing is that Twitch allows you to make money as a streamer as long as you know how to record game footage for your channel. It seems attractive, right? If you can't wait to do that immediately, you should go to pick up one decent Twitch recording software and learn how to record Twitch stream at once. One of the most trustworthy programs to record stream from Twitch is Joyoshare Screen Recorder. It is well developed to record any onscreen video and audio activity in high quality and provide you comprehensive solution to customize capturing area in the way you like so that you cannot be confined to systematic preset ratio any more. 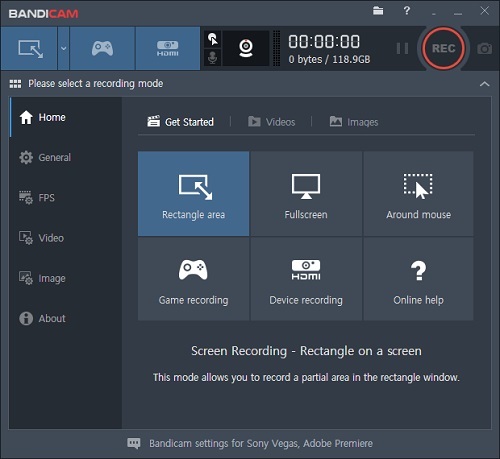 Other than that, this handy tool also lets you to cut your recording into different sections during the capturing process, making it possible to slice content into organized parts according to distinct content. Or you can get rid of any unwanted segment by skipping it directly. It's also practical to export your game recording to any popular format, like ASF, MOV, M4V, MP4, WMV, MKV, AVI, FLV, F4V, SWF, etc. You can as well at the same time specify related configuration, such as resolution, codec, sample rate, channel, bit rate, etc. Notably, not only can it help you record Twitch stream, but also it can work to capture YouTube audio, Amazon instant video, Facebook video call, Google Hangouts conversation, GoToMeeting webinar, class lecture, Yahoo messenger call, remote desktop session, etc. Certainly, you can also highlight your cursors, create scheduled task, take screenshots, etc. at your own will. First of all, you should run Joyoshare Screen Recorder for Mac on your computer. Considering you feel like to record Twitch streaming game, you can select the video recording mode near the red "REC" button. Select a capturing area and then simply tap on the gear icon at the lower right corner to show all hidden options. Next you can go to decide whether grab system audio/microphone sound, change storage location, add cursor effects, setup shortcut, etc. 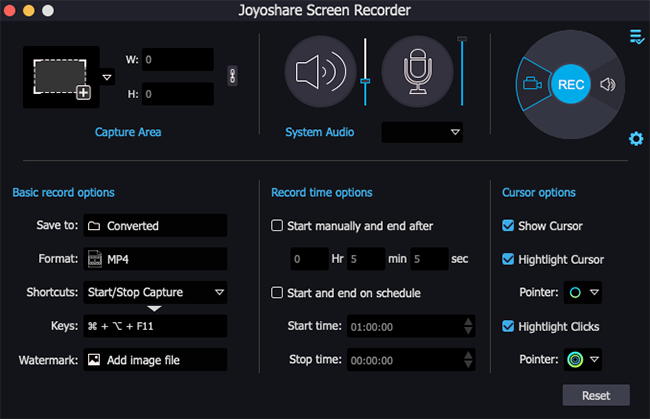 Tips: If you are not clear about how to set up recording options exactly in Joyoshare, you can simply visit this Joyoshare Screen Recorder user guide. Open Twitch and navigate to the live streaming. Once everything gets ready, continue to hit the "REC" button in Joyoshare. You can re-adjust the recording area until it is located at the most proper position. Then the recording process will begin after 3 seconds countdown. Note: It's available to press the "Stop" button during the recording process, which facilitates you to skip any needless parts. Meanwhile, you can hit the "scissors" icon to slice your recording and utilize keyboard shortcut to take screenshots. In fact, there is built-in screen recorder tool on Windows/Mac. If you prefer to take advantage of this direct way and don't want to install any third-party software, you can read on to learn more about how to record Twitch stream on Windows with Xbox DVR as well as how to record Twitch stream on Mac with QuickTime. Step 1: Head to Windows search bar or press "Window + S" shortcut to type "Xbox". Find and open it right now. Step 2: Sign it Xbox with your Microsoft account. Step 3: Likewise, open Twitch by clicking it from the results as you do to run Xbox. Step 4: Go forward to opt for a designated Twitch stream for further recording. You can hit 2-arrows icon to display the stream in full screen. Step 5: Press "Windows +G" and you will see a pop-up window with the text of "Yes, this is a game". 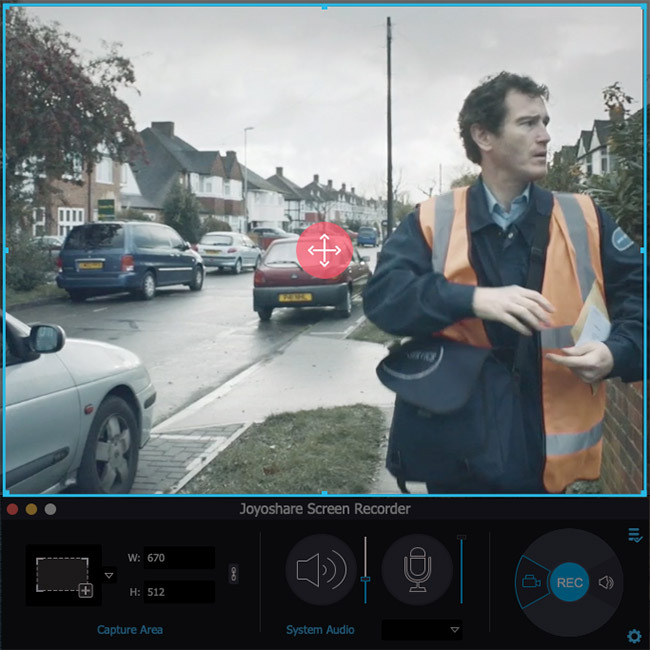 Choose this option and click the red circle to initiate a recording. Step 6: Once you have finished recording, just hit the square button in the recording panel. Step 1: Similarly, find Twitch on Mac from the "Applications" folder and figure out which streaming game you want to capture. 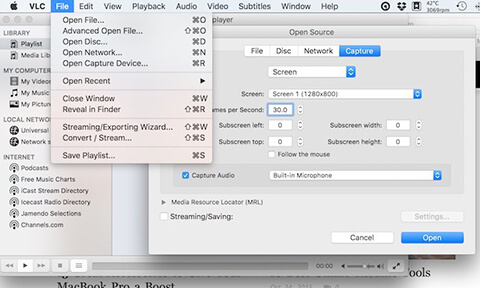 Step 2: Run QuickTime and go to "File" menu to choose "New Screen Recording" option. Step 3: Tap on the down-arrow icon next to the red recording button to decide which input audio device you get to use. Step 4: Hit the red button and click anywhere on your Mac screen to begin recording. Step 5: Go back to the stream on Twitch and show it in full-screen as well. Step 6: Lastly press the "Stop" button from the menu bar and save it in your own way. In case you would like to know more Twitch stream recording tools for later choosing, we here specially list 3 options as below. 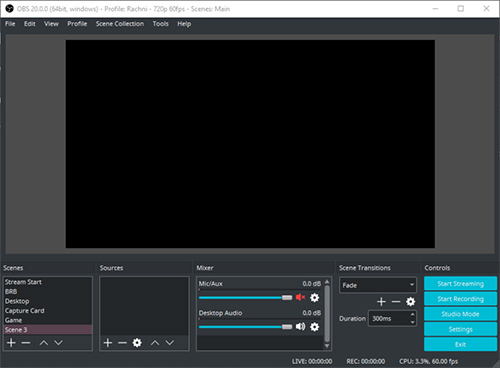 OBS, a well-known free and open source for live streaming and video recording, is compatible well on Windows, Mac and Linux. It comes with intuitive audio mixer, various configuration options, effective real-time video & audio capturing, etc. By means of it, you can quickly record your Twitch stream with ease. Bandicam, specialized in recording gameplay, can be regarded as one of the best game recording software for a large quantity of users. This tool is good at capturing 4K Ultra HD video at resolution up to 3840 x 2160 and recording high-quality game video over 24 hours without stopping. 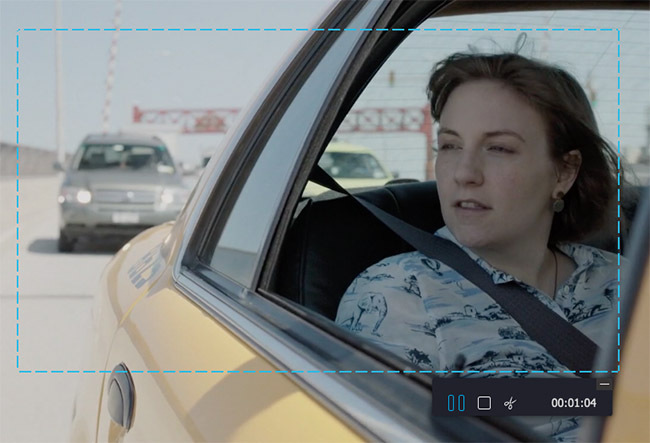 VLC is another typical free and cross-platform open source you can use. It includes full support to a wide array of video and audio formats. Importantly, there is no spyware, ads and user tracking to trouble you. However, the biggest shortcoming is that it can do nothing when you are in need of editing your recordings.